We are your licensed locksmiths and security professionals serving Lombard, I, and the surrounding suburbs. We offer emergency lockout locksmith services to our customers as well as auto, home, and commercial locksmith services. We provide reliable locksmith services so you can depend on us for doing the job you need, without damage to your home, car or office. Our Western Suburbs office is located at 39 W North Ave., Villa Park, IL 60181. Each of our bonded locksmith technicians have factory certifications and provide reliable, fast and top quality work. Our Lombard locksmiths are ready to meet your needs. We service keys, locks, security, vehicles, home, and office buildings. At Keyway Lock & Security, we provide a full range of professional locksmith services to residential and commercial clients throughout Lombard, IL., including automotive and emergency after-hours lock installation, car key programming, and re-keying. 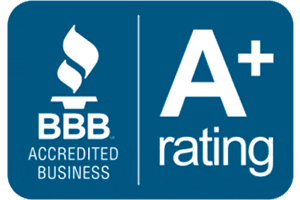 Our team of factory-trained locksmith technicians are bonded, licensed, and insured, and we are proud to maintain an A+ rating with the Better Business Bureau. Whether you need a new deadbolt for your front door, want to have a smart lock installed, or would like to make your home more secure by adding an extra-deep strike box to guard against break-ins, we can help. We sell and install high-quality residential locks, deadbolts, and security systems that are designed to protect you and your family. We can also duplicate all of your house keys, re-key your existing locks, and provide you with security solutions for your sliding glass doors, garage, and garden shed. Our experienced automotive locksmith in Lombard, IL has the skills, experience, and specialized equipment needed to program spare smart keys for your car and repair your vehicle ignition. We also offer mobile car lock-out service for drivers who have either lost their car keys or locked their keys inside their car. We use the latest in non-destructive unlocking techniques to gain access to your locked vehicle quickly, and if you need a new set of car keys made, we can cut and program automotive keys for less than you’d expect to pay at your local dealership. At Keyway Lock & Security, we sell, install, and service top-quality residential gun safe and commercial safes from leading brands including Gardall, LockSaf, AMSEC, and Permavault. We install all types of safes, including wall, floor, and deposit safes, as well as both freestanding and built-in gun safes. Our experienced safe technician can help you choose the right safe for your specific needs, and we’ll ensure that your new safe is installed in accordance with the manufacturers’ recommendations. We also repair and open all types of safes, including antique safes, electronic safes, and safes used in commercial locations including pharmacies, retail stores, and care facilities. We are committed to keeping your clients, employees, and assets safe with our high-quality commercial locks, access control devices, and CCTV systems. Our master locksmith designs and installs customized security solutions for commercial clients throughout Lombard, IL including restaurants, professional offices, warehouse spaces, and multi-tenant properties. We sell and service all makes of door closers, card key access systems, deposit safes, and panic exit devices. We can integrate your existing deadbolts and master key systems with upgraded door hardware to ensure compliance with ADA regulations, reduce your insurance premiums, and most importantly, improve the safety of your business. 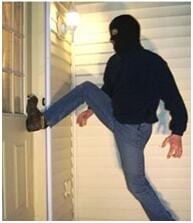 When you need a locksmith in Lombard, IL, contact us here at Keyway Lock & Security. 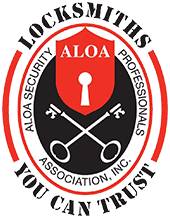 We have been serving our community since 2008, and we are proud to be active members in the Associated Locksmiths of America.